VW's factory in Wolfsburg, Germany in December. The feeling among businessmen and workers is that things now look even worse than in December, when three months after the revelations of the test rigging, VW finally held its first news conference on the crisis. WOLFSBURG, Germany -- When Martin Winterkorn dropped by to order some new glasses in the Volkswagen company town of Wolfsburg, he was "visibly dejected," according to his optician. But the visit wasn't last September, when Winterkorn had just quit as the German automaker's chief, it was this week. Six months into the scandal over VW's diesel emissions violations, the mood in Wolfsburg is as gloomy as Winterkorn's, and shows little sign of recovering. VW has its global headquarters here and employs a workforce equal to almost half the town's population at its giant car factory. Volkswagen remains mired in the crisis over its rigging of U.S. exhaust emissions tests, facing a barrage of lawsuits and grappling with a stalled German vehicle recall. With workers fearing for their jobs and the dive in VW's fortunes hitting Wolfsburg's municipal finances, few people see any light at the end of the tunnel. This appeared to include 68-year-old Winterkorn when he visited optician Ehme de Riese on March 14. "Winterkorn was visibly dejected," de Riese told Reuters. "He is haunted by the question of what will happen to his life's work and to the Volkswagen company." Winterkorn was on a fleeting visit -- de Riese said the former CEO and longtime engineer has moved to Munich since the scandal ended his long career at the firm which has its headquarters in Wolfsburg. De Riese runs three branches in Wolfsburg, and supplies glasses to half of VW's executive board. As such, he fears that heavy penalties could force VW to scale back operations in the town, which lies about 120 miles (200 km) west of Berlin. To boost morale, he has spent 30,000 euros ($34,000) on pro-VW newspaper advertisements and badges which are plastered all over his central branch on the Porschestrasse, Wolfsburg's main shopping street which is named after Ferdinand Porsche -- creator of the iconic VW Beetle. Not all is bad. Deliveries across the VW group began growing again in January and February, helped by incentives to buyers, after falling for the first time in years in 2015. But the feeling among businessmen and workers is that things now look even worse than in December, when three months after the revelations of the test rigging, VW finally held its first news conference on the crisis. Since then, the U.S. government has sued VW for up to $46 billion for violating environmental rules and extended its inquiries to cover bank fraud law, while a flood of private and investor lawsuits has swept in. Then this week, Germany's KBA motoring regulator said it was holding up a recall of VW Passats that is intended to make them comply with emissions regulations. This is a painful setback for VW, which in November touted its simple emissions fix for 8.5 million cars in Europe as a precursor to pulling out of the crisis. Even Moody's, which still has a relatively positive opinion of Volkswagen compared with its fellow credit rating agencies, is prepared for things to get worse. 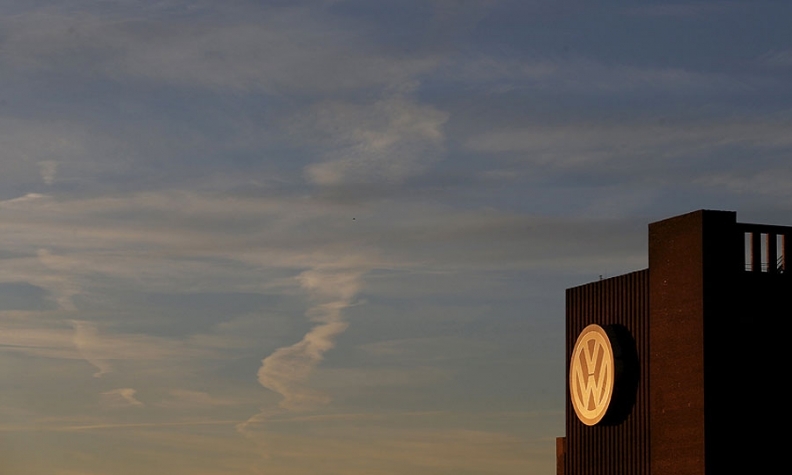 "The emissions issue is likely to have a number of adverse effects on Volkswagen's future earnings and cash flows, which may only become visible over time," said Matthias Hellstern, managing director of Moody's corporate finance team in Frankfurt. Earlier this month Winterkorn's successor, Matthias Mueller, warned workers gathered in Wolfsburg that the scandal would inflict "substantial and painful" financial damage. Gauging the full extent of this would take years, he added. At the same time, the company's powerful labour leader warned that the extent of possible job cuts would depend "decisively" on the level of U.S. fines. "Should the future viability of Volkswagen be endangered by an unprecedented financial penalty, this will have dramatic social consequences," works council chairman Bernd Osterloh told more than 20,000 workers. People in Wolfsburg are also worried about VW's failure to agree with U.S. authorities on how to fix rigged U.S. cars. Another concern is a risk of internal strife at VW headquarters as managers and labor bosses start hammering out a new wage contract next month for 115,000 workers in western Germany. "It feels like a persistent stream of bad news," said Thomas Ilsemann, managing director of travel agency Flugboerse in the city center. "VW is anywhere but on solid ground." Ilsemann said the main factor weighing on his business was fear of terror attacks at holiday destinations. Nevertheless, bookings by temporary VW staff, whose jobs are less secure than those on open-ended contracts, are falling, he said. Also, executives from some local component suppliers opted not to attend the Detroit auto show, an industry fixture, in January. VW has started to reduce temporary jobs, mainly in production, at some of its German factories and plans to cut 3,000 office positions by the end of 2017. Only a few employees were willing to speak to the media outside the factory gates. One who would, 48-year-old Jochen Schmelzer, said he has stopped playing football fearing he might lose his job if suffered a sports injury. "Crises are part of life here in Wolfsburg but this one is different," he said when arriving for the late shift. "We still don't know the size of the damage. The uncertainty is the worst of all," added Schmelzer, a father of two who has worked on assembling the top-selling Golf since 2007. That said, VW will run 22 extra shifts making Tiguan, Touran and Golf models in the first half of 2016 to service strong demand. Some local people are determined to see the positive side -- if not now, then later. "I have had my fill of bad news already," Wolfsburg Mayor Klaus Mohrs said. "There is an element of uncertainty. But there is also the feeling that things will get better afterwards. "The attitude among people here is that we'll get out of this crisis in two to three years." Few towns are as dependent on a single company as Wolfsburg. Mohrs said he expects business taxes to decline to about 130 million euros this year, from 277 million in 2014, as VW's profits are hit by fines, lawsuits and recall costs. The carmaker set aside 6.7 billion euros in the third quarter last year to cover the costs of vehicle recalls, and is expected to increase the provisions next month. When the scandal broke, Mohrs announced an immediate freeze on municipal spending and a hiring ban. Asked if penalties could undermine jobs at VW, he said: "I am not relaxed on this matter ... but I think the implications will be more visible at sites other than in Wolfsburg." Ever the optimist, de Riese is planning to open a fourth store in Wolfsburg in June, aimed at young customers. "I'm adding a new brand, just like VW did in the good times," he said. "It's important to bounce back, especially in such tough times."